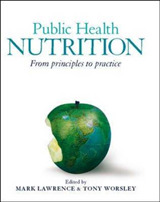 Vegan, low fat, low carb, slow carb: Every diet seems to promise a one-size-fits-all solution to health. 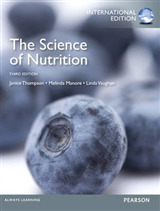 But they ignore the diversity of human genes and how they interact with what we eat. 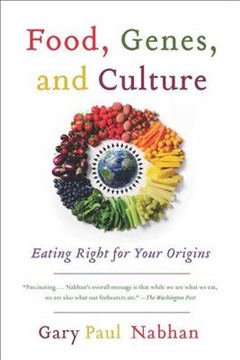 In Food, Genes, and Culture, renowned ethnobotanist Gary Nabhan shows why the perfect diet for one person could be disastrous for another. If your ancestors were herders in Northern Europe, milk might well provide you with important nutrients, whereas if you're Native American, you have a higher likelihood of lactose intolerance. If your roots lie in the Greek islands, the acclaimed Mediterranean diet might save your heart; if not, all that olive oil could just give you stomach cramps. 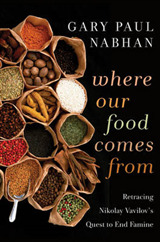 Nabhan traces food traditions around the world, from Bali to Mexico, uncovering the links between ancestry and individual responses to food. The implications go well beyond personal taste. 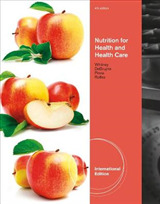 Today's widespread mismatch between diet and genes is leading to serious health conditions, including a dramatic growth over the last 50 years in auto-immune and inflammatory diseases. 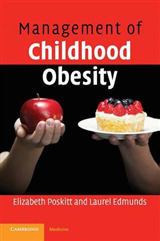 Readers will not only learn why diabetes is running rampant among indigenous peoples and heart disease has risen among those of northern European descent, but may find the path to their own perfect diet.